Thanks for the Socrates forecast. Just a question. What will possibly happen to existing Tropic Belt countries like my region South East Asia when the world is turning into global cooling? Any forecast? ANSWER: I am awaiting their data to run it through and see what comes out. This is what I mean about opinion. How can anyone forecast something without the data? 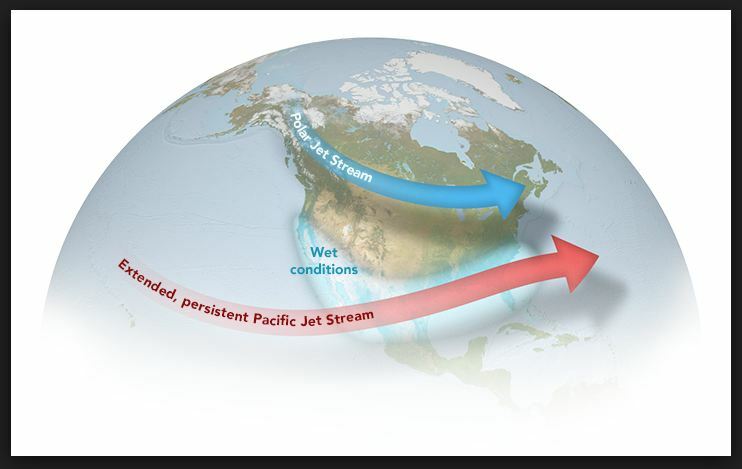 What we do know is also that the Jet Stream moves up and down, so it would make sense that the Tropic Belt would also do the same. 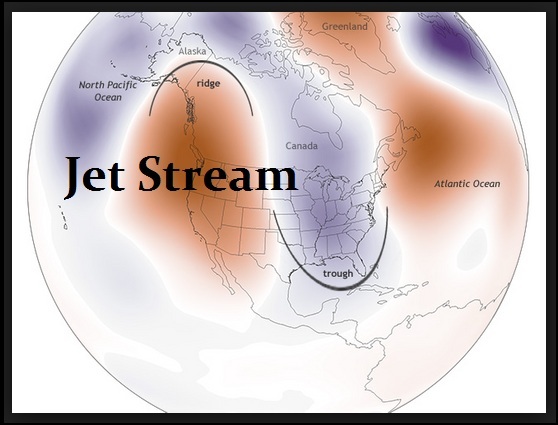 The Jet Stream has been dipping as well and creating a very diverse curve pattern. So this produced the COLDEST New Year’s Eve on record last year. This is also why you have people who want to claim it is irrelevant if people die of cold in Wales. They argue that since it is warm where they are in Canada, it must prove that Global Warming is real. They are not the brightest bulb in the box. Then we have the Pacific Jet Stream. These people who always try to reduce any effect to a single cause should be barred from any research EVER!!! If you want to understand how interconnected our planet is then you also need to look at and study El Niño. The interconnectivity is similar to all the world financial markets, which create a level of complexity beyond most human’s ability to rationalize. Both the weather system and the financial system function on an extremely high level of complexity. The patterns and events in one place can affect life on the other side of the planet in both systems. Hence, one person will argue it is Global Warming because they happen to be in a hot spot and others are dying in blizzard conditions. I moved to the Tampa area where hopefully the Jet Stream does not bring ice on my windshield. Nevertheless, it has been unseasonably cold here as well and it has even dipped into the 30s at night as far south as Miami. Then we have the real simple minded people who actually believe we would drown if all the ice melted in the Arctic. They have completely forgotten about EVAPORATION. If the ice melted, that water would mix with the Atlantic and Pacific, causing them to become colder. But then the Arctic would be able to evaporate. This is how Ice Ages take place for a very long time because the water returns as snow and that is how the glaciers build. There have been at least five major ice ages in the Earth’s history (the Huronian, Cryogenian, Andean-Saharan, Karoo Ice Age, and the current Quaternary Ice Age). Aside from these ages, the Earth seems to have been ice-free even in high latitudes. This is a historical fact that the Global Warming people ignore. Based upon the data we have gathered, there appears to be a cycle of 430 million years. This agrees with the 8.6-year frequency. The last Ice Age was the Quaternary glaciation, which was actually a series of glacial events separated by interglacial events. This began 2.58 million years ago, so at least according to our models, we have plenty of spare time left in this cycle. However, the ice caps today that the Global Warming people are screaming about are the remnants of that period. There is a bottom to the Arctic ice cap. The Antarctic ice sheet actually began to form earlier (about 34 million years ago) in the mid-Cenozoic to late Cenozoic Ice Age period. That means there have been periods that existed without ANY ice caps. We cannot blame even Egyptians for climate change since civilization did not exist back in those days. This is my problem with the whole Global Warming nonsense being attributed to humans. I would agree if they could show me evidence that such a condition NEVER existed previously before the Industrial Revolution. To me, this is just a cycle and we should respect that the planet if a far more complex system than these idiots put out. NOTHING can ever be reduced to a single cause and effect.